Each Simply Beer Kit has been crafted with the help and expertise of our dedicated team of master brewers. 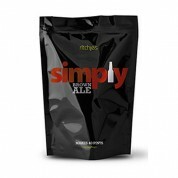 Each kit uses a blend of high quality malt extracts from numerous producers from around the world, with the addition of genuine brewer's yeast allowing the maker to produce a truly outstanding beer when it comes to quality, taste and value. Available in 8 great styles.